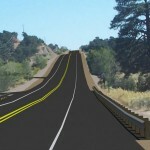 With the release of OpenRoads Technology the design tools are closely integrated into the platform product MicroStation. 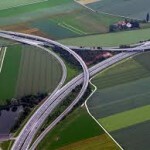 This requires additional configuration variables (over 20) to help point and load certain resources for OpenRoads. The design standards are obviously meant to be followed; however, they will not be if the CAD Manager does not make this easy for the user. 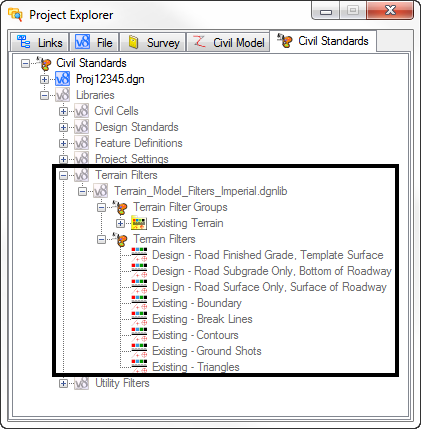 By defining some key OpenRoad variables the end user will have the design standards they need to complete their project. For those unfamiliar with configuration variables, they are meant to be used as pointers to standard resource files and folders for your projects. The variables are defined within the workspace configuration files. You can learn more about Variables and Workspaces by attending one of our CAD Manager classes. 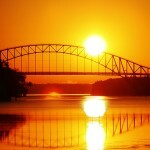 Effect: Defines the default template library (ITL). Effect: Defines the Style file that is linked in the Survey Feature definitions. 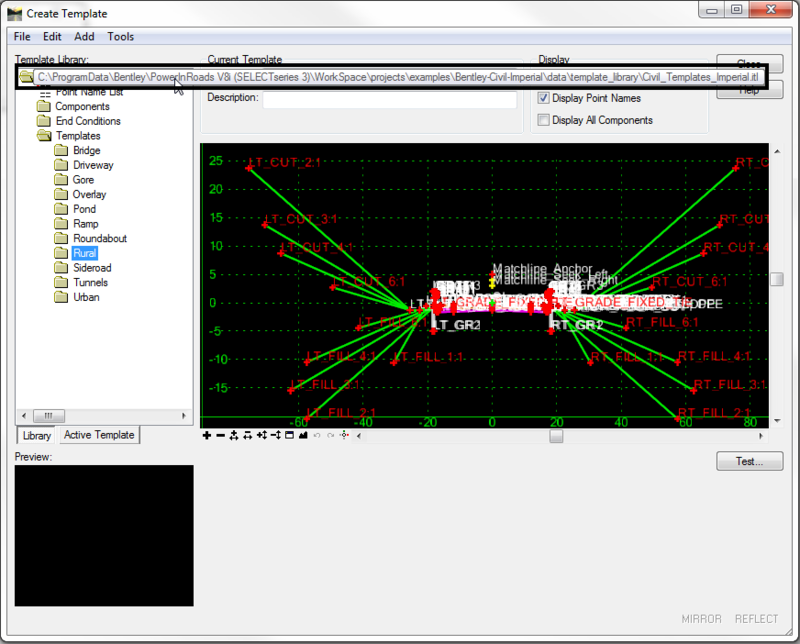 Available options are an XIN from InRoads, an XML from a GEOPAK SMD, or a PSS from MX. 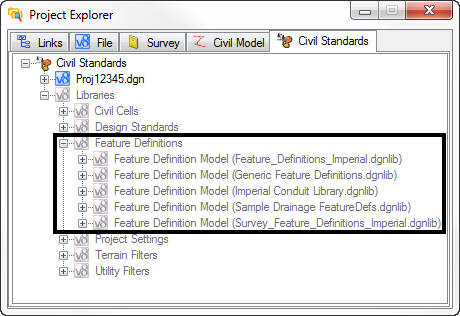 Even if the XML/XIN is defined in the CIVIL_SURVEY_STYLEFILE variable, you still must run the Link Survey Feature Definitions command to import the survey features into the DGN file. 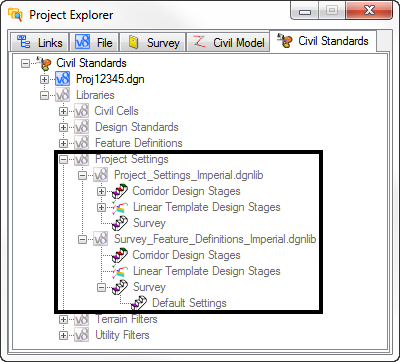 If your CIVIL_SURVEY_STYLEFILE variable is set to the same XIN that you used when you linked, then you will not have to link again, and you will not be prompted when you open the DGNs. 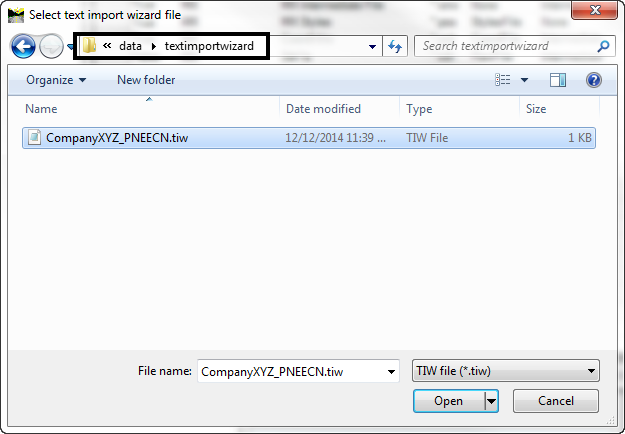 Effect: This variable defines both the directory and specific file name of the Civil Cells DGN Library. Effect: This variable defines both the directory and specific file name of the Design Standards DGN Library. Effect: This variable defines both the directory and specific file name of the feature definitions DGN Library. 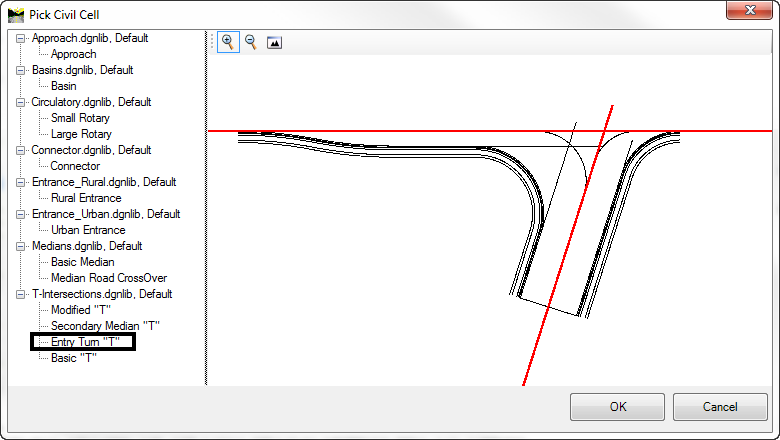 Effect: This variable defines both the directory and specific file name of the terrain model specific file name of the terrain model filters DGN Library. 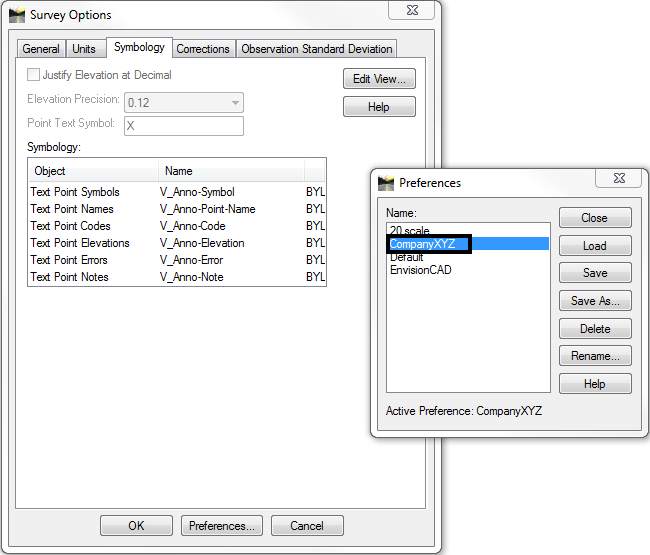 Effect: As the XIN can contain multiple instances of Survey Options, this allows the definition of a particular Survey Options to apply when reading the XIN file. If this variable is not defined, then the LAST occurence of the Survey Options is used. (InRoads only). 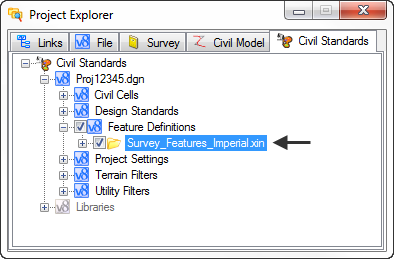 The name should be defined in the XIN file that the variable CIVIL_SURVEY_STYLEFILE is set to. Need assistance getting OpenRoads Configured? Give us a ring and put our expertise to work for you.